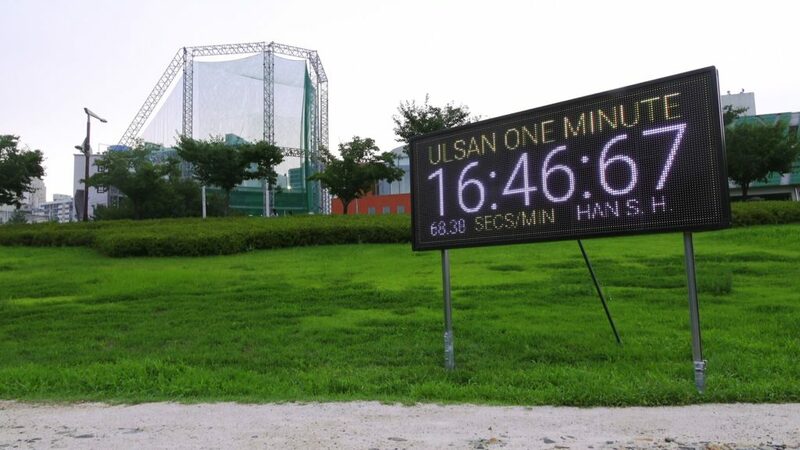 Ulsan One Minute is an athletic competition. On contrary to a typical sports game, one does not win by being the fastest, the highest nor the strongest. The slowest wins. This simple game asks anyone being in Ulsan to count faithfully one minute in their mind without looking at any clock. The counted duration is measured by a timer – a stopwatch, a smartphone or a digital watch. The measured duration should be accurate to two decimal places. The data of each participant are collected and ranked from the slowest to the fastest before the start of the festival. It would be made up to maximum 1440 personal minutes thus a different length of a day. 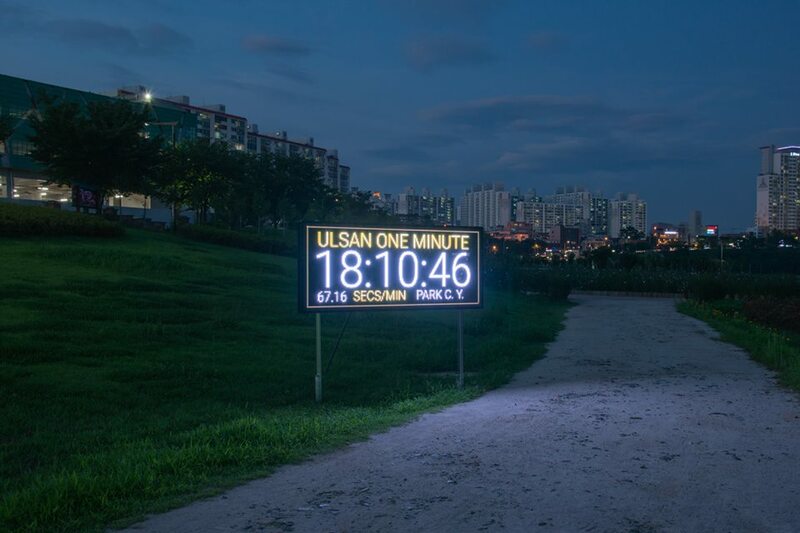 A public clock is installed in the Taehwa River Park and presents these personal times and paces belonging to the people in Ulsan. It also works as a reminder to pay attention and reconsider the value of time and success.